Just who decided we should trust a Pennsylvania rodent with weather prognostication? You gotta love a holiday centered around weather. You might think it’s about the animal, but no, any hibernating animal will do just as well. The real reason Groundhog Day is celebrated on February 2nd is that it is close to the midpoint of winter, halfway between the solstice and the equinox. Whether the groundhog sees his shadow or not, we still officially have six (and a half) more weeks of winter. This is the turning point of the season, and for pre-industrial societies (particularly farmers), the midwinter date was a day to take stock and determine whether you have enough food and firewood to last the rest of the winter. If you miscalculated the previous fall, or you found that the grain is full of weevils and your cow started looking skinny, you had good reason to look for omens of an early spring. Ancient pagans marked the solstices and the equinoxes as a way of measuring the cycle of the year. There are also important dates that fall in the midpoint between the solstices and equinoxes, which were considered the real beginnings of the seasons. These "cross quarters" are called Beltaine, Lughnasad, Samhain, and Imbolc. The old pagan holiday of Imbolc falls on February first or second, and is referred to as the beginning of spring. The word itself is an Old Irish term for a ewe's pregnancy. The date has a tradition of being a good one for weather forecasting. Old verses tell of the date's importance in the cycle of the year. Garrons are taken to the fields. Photograph by Flickr user :mrMark. Imbolc is also sometimes celebrated as the festival of the ancient pagan goddess Brig or Brigid, who is sometimes confused with the Catholic saint Brigit. Saint Brigit of Kildare's feast day is February 1. The information on Brigit's life is scarce, as the first recorded reference to her was written well after her death. In fact, some sources say that there never was a nun named Brigit, but the priests allowed pagan converts to continue their traditional celebration of Brigid by bending history to concoct the story of a nun who became a saint. 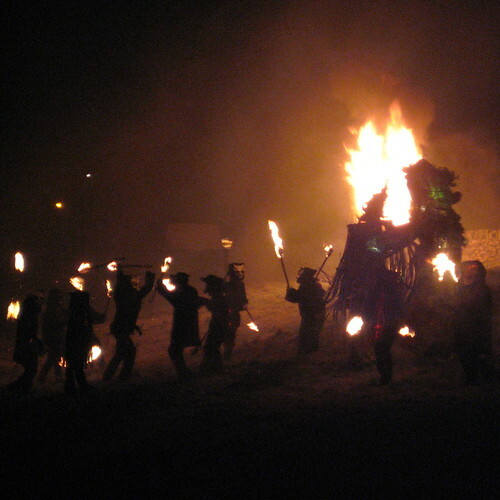 Imbolc is a "fire festival," which may explain why the Christian holiday that supplanted it is named for candles. Christians celebrate February 2nd because it is 40 days after Christmas, a feast day known as Candlemas. This would be the end of the 40-day purification period after childbirth for Mary under Jewish law. 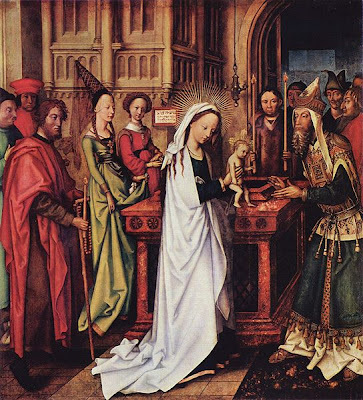 It is also considered to be the day the infant Jesus was first presented in the Temple. In Orthodox communities that still use the Julian calendar, Candlemas is celebrated on the Gregorian calendar's February 14th. Soon after it was established, Candlemas also became associated with weather forecasting, as is recorded in the lyrics of songs dating back hundreds of years. But there is nothing in the religious observation of Candlemas that leads directly to weather prognostication. The date selected to celebrate the birth of Jesus Christ replaced old pagan celebrations, and Candlemas does, too. Because of where the date falls, however, the feast of Candlemas became a handy name for midwinter weather forecasting, no matter what country or in what language the tradition was known as before. Original photograph by Flickr user Beverly & Pack. The obsession with weather forecasting at this time of year is completely understandable -after all, winter weather is tiresome, and for many, downright dangerous. Will the supplies you stocked in the autumn last until spring? Finding out didn't make the supplies last any longer, but signs of spring could soothe a worried mind. One omen Europeans looked for was the emergence of hibernating animals. The snake mentioned in the old Imbolc verses was rarely ever seen, but hibernating mammals were. In some parts of Eastern Europe, Candlemas is also known as the Day of the Bear, and the weather forecasting tradition varies. In some communities, good weather on the day of the bear will cause the animal to stay outside, meaning spring will come soon. 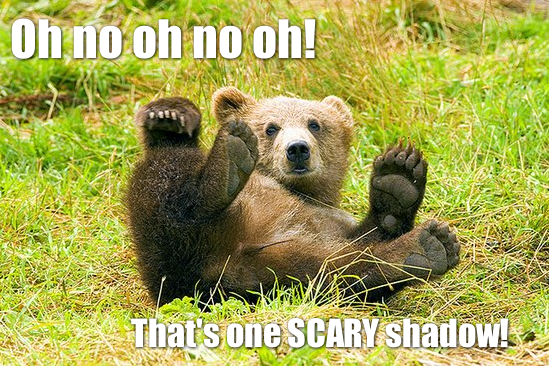 In other places that observe the Day of the Bear, the "contrary" rule applies- if the weather is nice, the bear will see his shadow and be frightened back into his den for more winter weather. So one should hope for a cloudy or stormy day at Candlemas. Original photograph by Flickr user Tim Brookes. In France, the marmot became the traditional animal to look for. In England, folks waited for the arrival of the hedgehog. And in Germany, Candlemas was associated with the weather forecasting omen of the emerging badger. 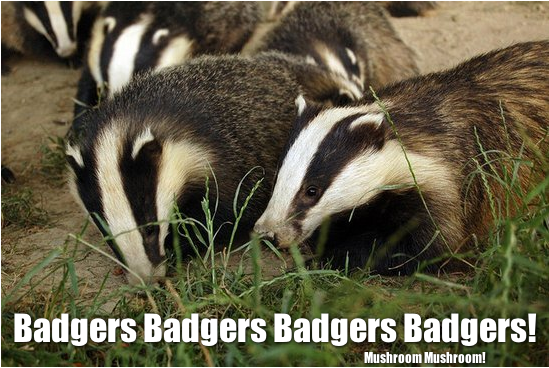 In fact, Candlemas was also known as Badger Day in Germany. These traditions went for the "contrary" weather theory. The Badger peeps out of his hole on Candlemas Day and when he finds snow walks aboard; but if he sees the sun shining he draws back into his hole. The Germans noted another significance of the February 2nd date: by then, the sun had made enough progress that one could eat supper before dark. That's worth a celebration! Original photograph by Flickr user StephenZacharias. Original photograph by Flickr user SchultzLabs. The tradition spread through the U.S. but the most famous groundhog is still found in Pennsylvania. Punxsutawney Phil is the most famous citizen of Punxsutawney, Pennsylvania, and is trotted out every February 2nd for the national media -oh yes, and to check for his shadow. 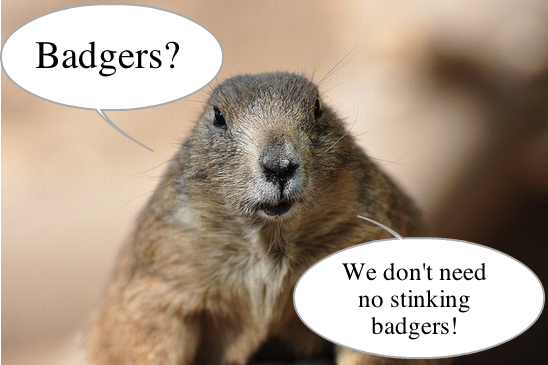 Other cities have their own groundhogs, and people in rural areas look for evidence of anonymous groundhog emergence. The groundhog, however, has never been a particularly accurate predictor of the weather. Punxsutawney Phil has a 39% accuracy rate since 1887. After all, how smart can an animal be if he is afraid of his own shadow? 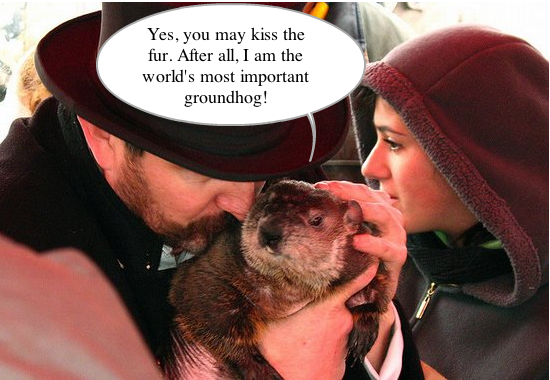 C. G. P. Grey explains how we celebrate Groundhog Day.